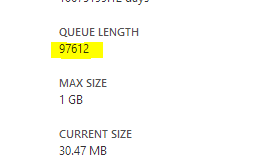 I’ve been processing a lot of messages through Azure Service Bus lately. 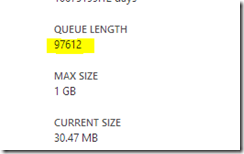 During that processing I encountered a situation where Azure Management Portal reported that there were over 97 thousand messages in the queue but still the worker weren’t receiving any messages. Turns out the Management Portal also reports messages in the Dead Letter Queue. Some of the messages had failed the processing few times so they had been automatically moved to the Dead Letter Queue. Published at DZone with permission of Mikael Koskinen , DZone MVB. See the original article here.